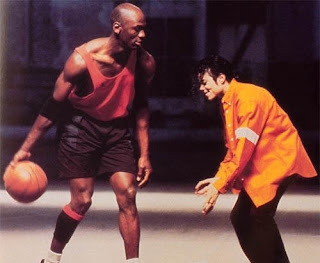 When I say MJ, who comes into your mind first, is it Michael Jordan or Michael Jackson? Well, aside from sharing the same initials and first name, they too share the limelight, yet of different field, both are superstars in their own crafts. Michael Jordan earned the title "Air Jordan" for his leaping ability while Michael Jackson is known as the "King of Pop". In addition, both also signed a Ball that was found in auction in the southern Chinese city of Macau and was sold at $249,000, yet the winning bidder chose to stay anonymous until now.